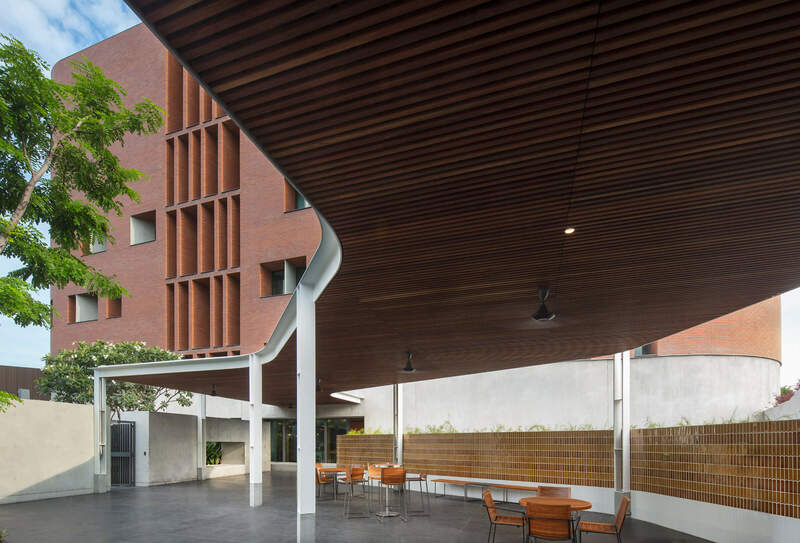 The Australian Embassy in Bangkok Thailand, designed by BVN creates an authentic Australian atmosphere through its design and material choices. 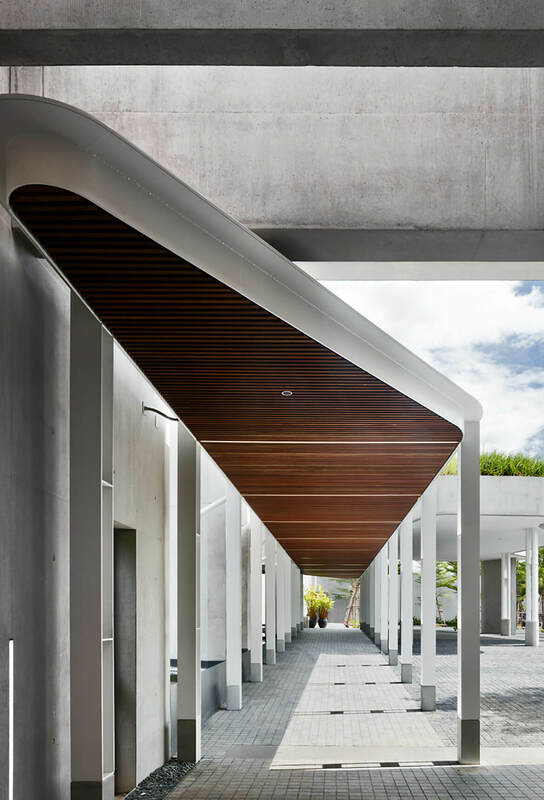 The embassy is designed to be a piece of Australia in Thailand, using Australian materials and a colour palette directly inspired by the outback. 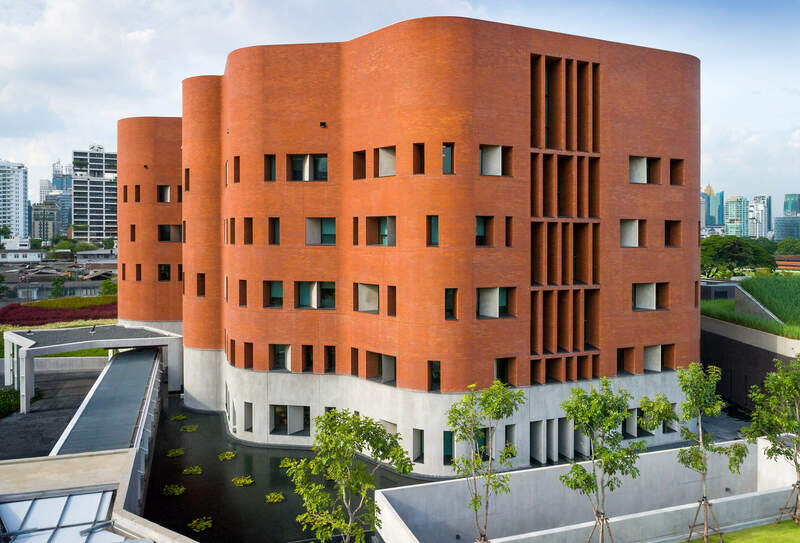 The red brickwork and unusual shape create a silhouette reminiscent of Australia’s great landmark, Uluru. 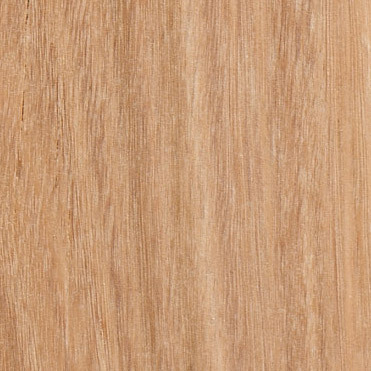 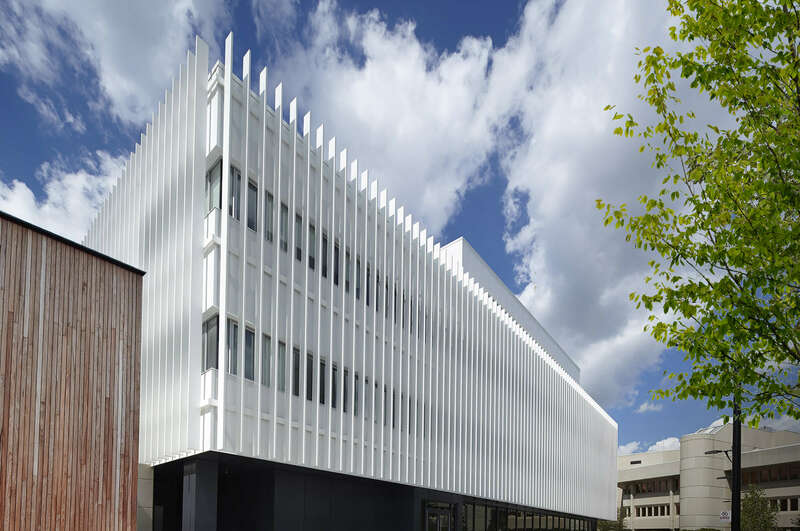 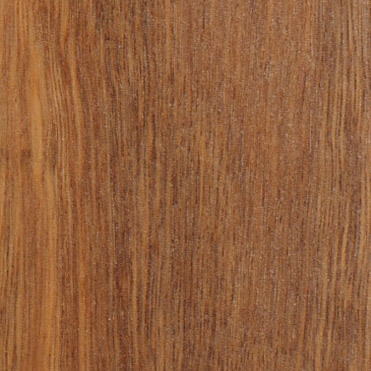 The central feature of the embassy uses White Oak Click-on battens in a custom profile designed for the project. 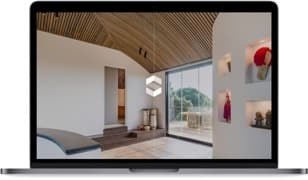 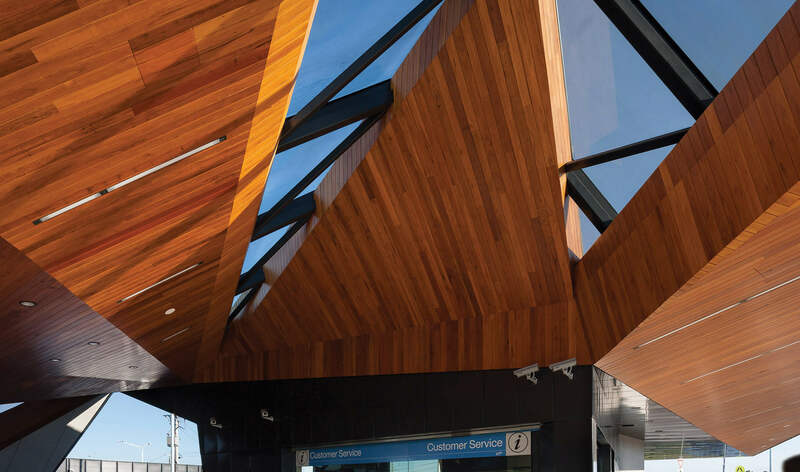 Sculptform worked closely with BVN throughout the design process to develop a custom profile which achieved design intent and budget requirements. 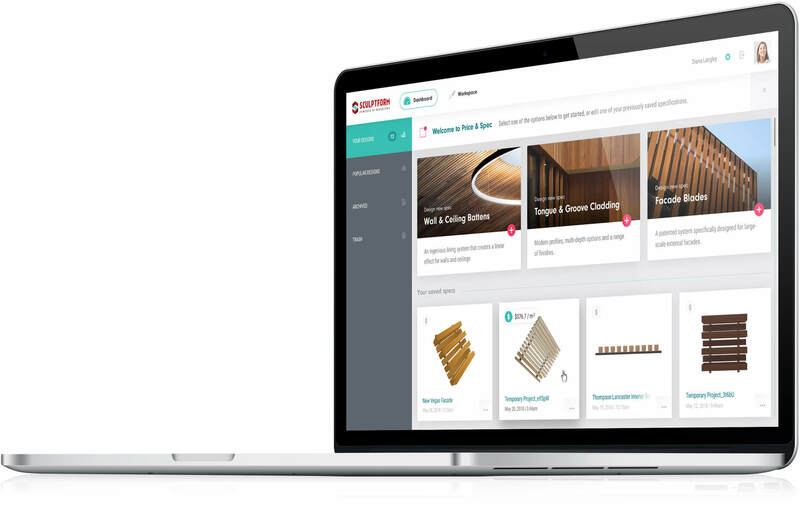 The flexibility of the Click-on battens system allows for custom profiles to be integrated into the established system easily. 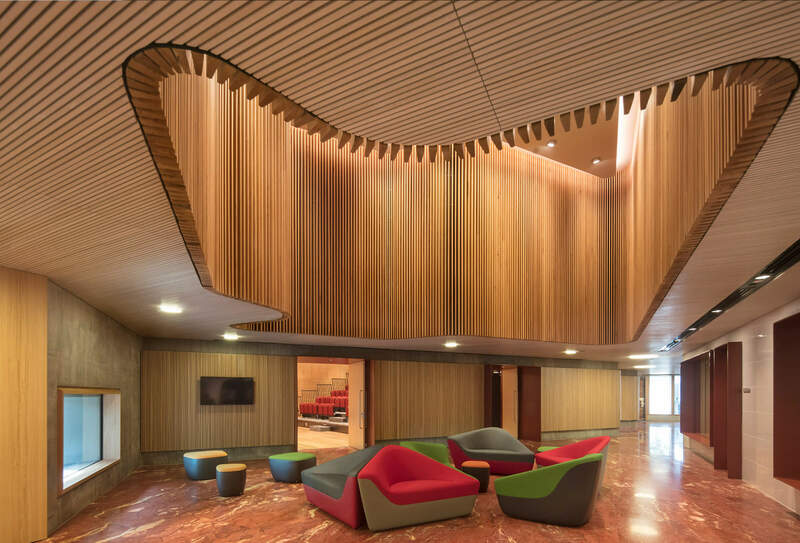 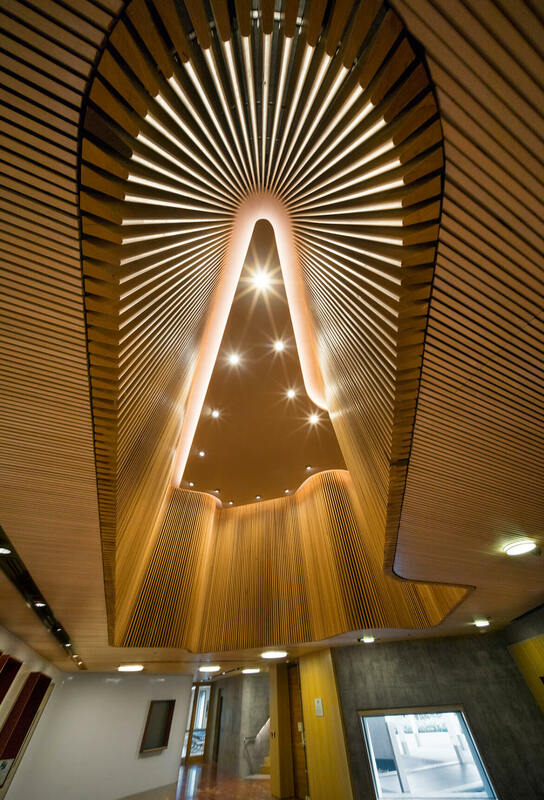 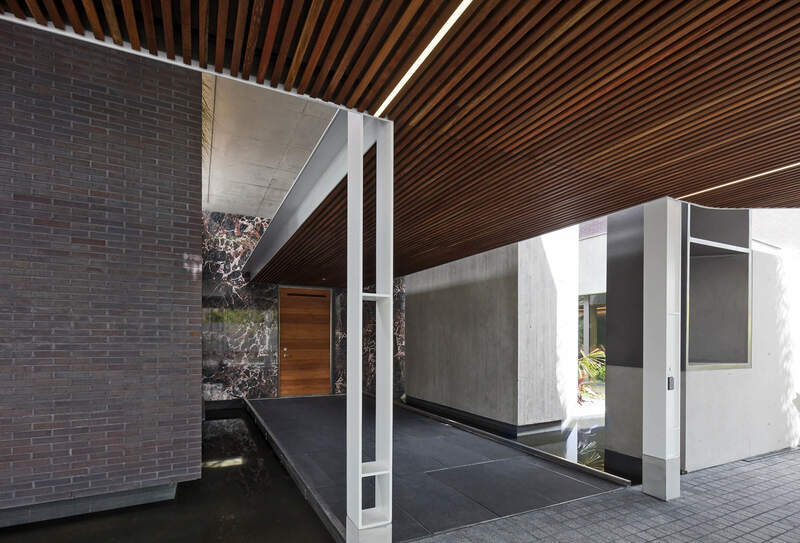 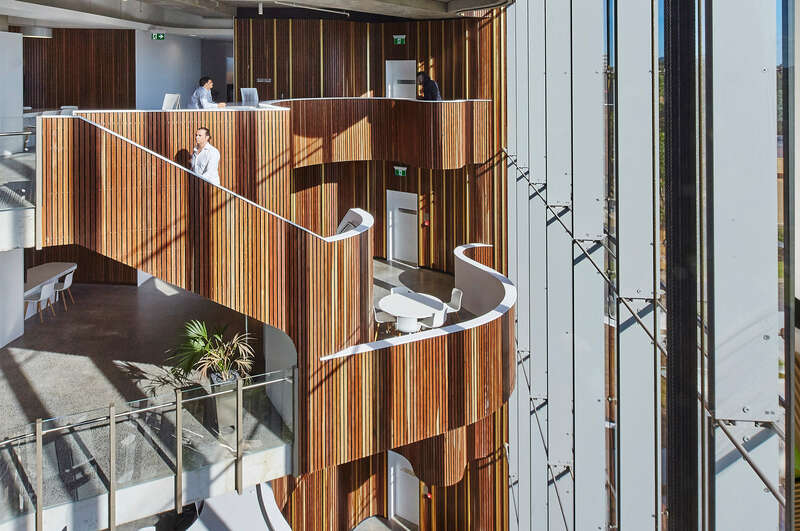 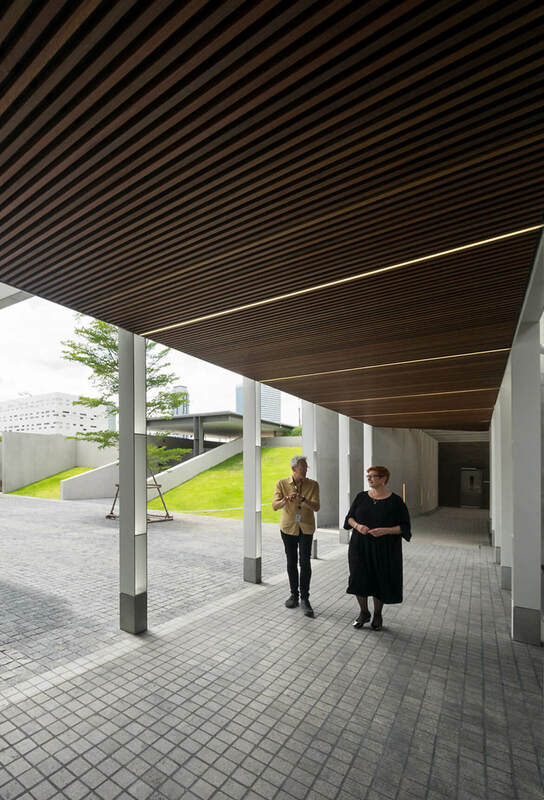 The exterior areas of the embassy also feature Click-on battens, this time in Spotted Gum. 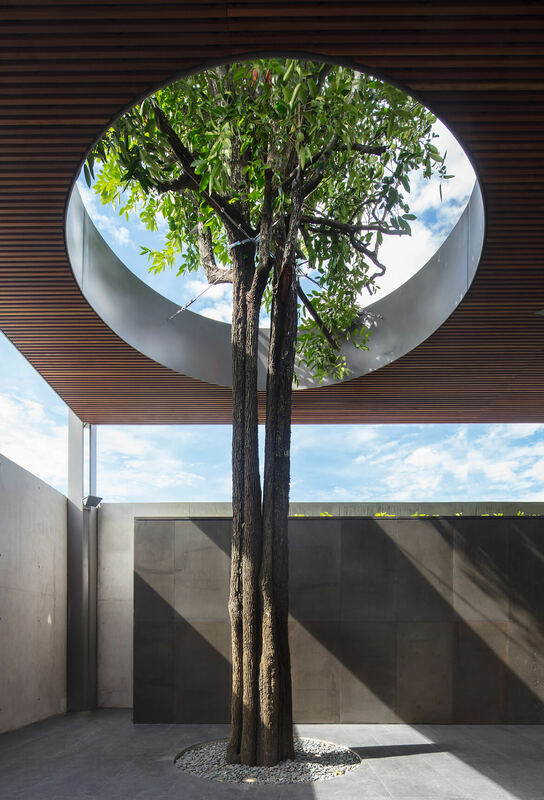 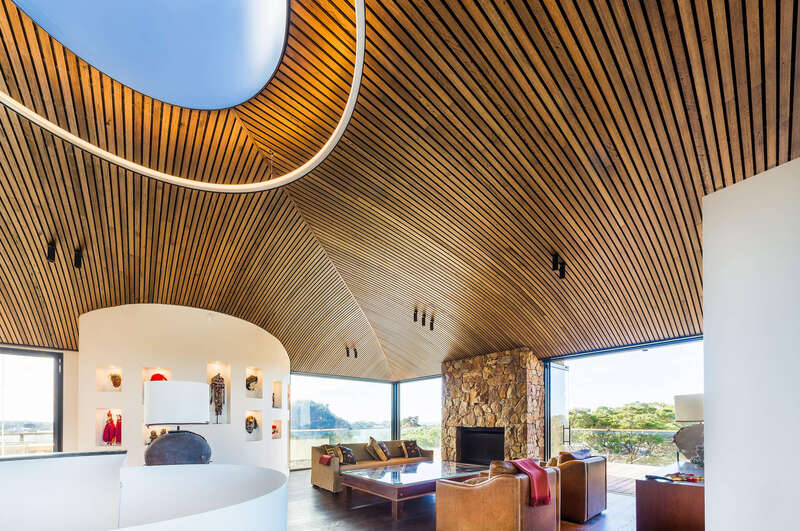 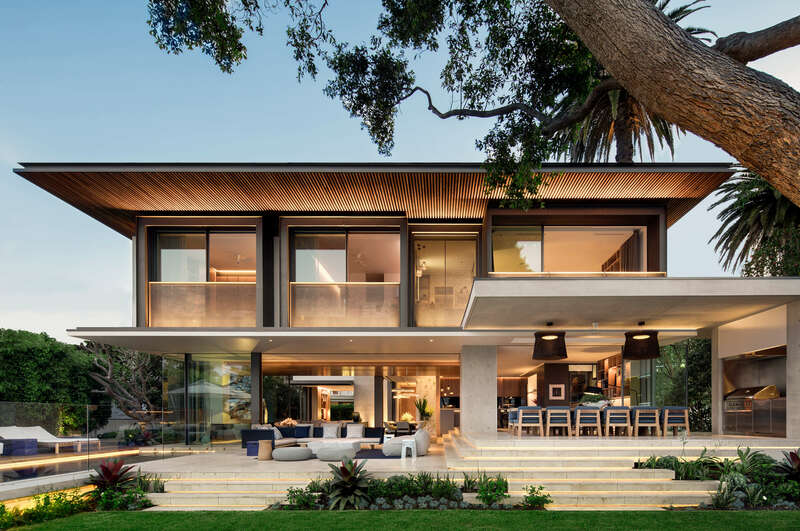 The deep, rich colour of the Australian native Spotted Gum creates a beautiful contrast with the concrete forms used throughout.